The post-World War II world was one that had learnt many painful and valuable lessons from the mistakes of the past. On December 10, 1948, the United Nations, in a bid to promote equality and assert the rights of individuals across the globe, adopted the Universal Declaration of Human Rights (UDHR). To mark this occasion, Human Rights Day is observed around the world. Among the 30 Articles, all of exceeding importance, Article 25 recognises the right to a standard of living that ensures the health and well-being, which includes food, housing, clothing, medical care, among other necessities. This is followed by Article 26, which recognises the right to education. Akshaya Patra, with its philosophy of ‘unlimited food for education’, has been striving to ensure that the children of India aren’t deprived of these rights. Classroom hunger is a menace that keeps children from availing these basic rights and thus, affects their future prospects and hampers the realisation of their aspirations. With one wholesome, nutritious meal a day, over 1.6 million children across 12 states in India have an incentive to attend school, concentrate in class and dare to dream big. Many among these beneficiaries wish to be IAS officers, doctors, architects, soldiers, engineers – all due to the promise of one meal that is shared with schoolmates belonging to diverse religious, social and cultural backgrounds. Thus, the Foundation’s mid-day meal initiative also fosters social inclusion. To join Akshaya Patra in the fight against classroom hunger and secure children with the right to food and education, donate here. Akshaya Patra you are doing very well for children rights. we really appreciate you for your this social work. your all articles are very good. Akshaya Patra is doing a great job for the society. Everyone should fight against child hunger, as they are the future of our nation. 7 secrets to a healthy diet! 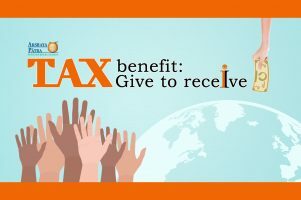 Give to Receive: feed children and avail tax exemption!